Time to dust off the old filibuster. Dawn Johnson, sister-in-law of David Hamilton (the jurist who said it was illegal to begin a legislative session with a prayer in Jesus’ name, but perfectly OK to pray to Allah), has been nominated to head the Office of Legal Counsel at the Department of Justice. You may remember Ms. Johnson for the quotation in the title of this post, in which she compared pregnancy to slavery. What are the odds that one or both of these giant-brains will have tax problems? John Calipari is leaving Memphis to take the reins of the University of Kentucky. Calipari agreed to an eight-year, $35 million deal. He gets a $2.5 million signing bonus and $3 million per year for the first four years. 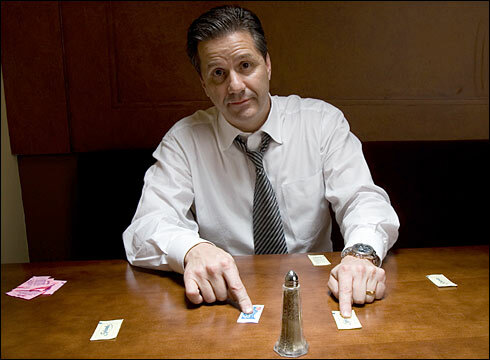 In years five through eight, Calipari will receive $4.5 million annually. Incentives increase the deal to $35 million. Todd said he was unaware of any effort to raise private funds to supplement Calipari’s pay. In terms of players as well as coach, Calipari’s move may prove Kentucky’s gain and Memphis’ setback. Several players or recruits spoke of leaving Memphis and joining him at Kentucky. In Miami for Wednesday’s McDonald’s All-American Game, heralded prospect DeMarcus Cousins (who had committed to Memphis) told The Miami Herald on Tuesday that he spoke with Calipari before the decision was made. Another McDonald’s All-American committed to Memphis, Xavier Henry, said he would reopen the process. Meanwhile, point guard Tyreke Evans, who won several national Freshman of the Year honors this past season, told FoxSports.com that he was leaving Memphis for a shot at the NBA. Calipari fits the criteria Kentucky desired after firing Billy Gillispie on Friday: a well-rounded coach who can perform the UK job’s varied duties on and off the court. In terms of coaching, Calipari is one of only 13 coaches to take two schools to a Final Four. He guided Massachusetts in 1996 and Memphis in 2008 to college basketball’s grandest stage. Only Rick Pitino has taken three schools to a Final Four: Providence (1987), Kentucky (1993, 1996 and 1997) and Louisville (2005). Calipari has compiled a record of 445-140 in 17 seasons as a college head coach. That includes a nine-season record of 252-69 at Memphis. So what is my impression of obamessiah’s first appointment to the Appellate Court? Warning: This decision is breathtaking in its fatuity. Obama must be exhausted, having to tote that huge brain around with him all the time. Governor Kathleen Sebelius, Obama’s 2nd choice to head up HHS after 1st choice Tom Daschle withdrew because of tax problems, has tax problems of her own. Jeebus. How many is this now? I’ve lost count, but it is at least 5 or 6. The Kansas governor explained the changes to senators in a letter dated today that was obtained by The Associated Press. She said they involved charitable contributions, the sale of a home and business expenses. With April 15 just around the corner, this couldn’t have come at a worse time for the democrat messiah. Would You Shake Hands with a Jew? Man on the street interview in Saudi Arabia …. My conclusion: There will be not be peace in the Middle East, without victory. The silliness of forcing Israel to the bargaining table to fulfill some nutburger’s dream of a “peace process” is revealed by this video. What Say You, Thomas Paine? OBAMA WORRIED ABOUT THE 2ND AMERICAN REVOLUTION!!! I wonder how closely Obama has worked with this organization. A quick check of the CMSA website reveals prominent links to CAIR, and ISNA, both of whom were named as “unindicted co-conspirator” in a plot to fund the terrorist group Hamas in the Holy Land Foundation trial. Now that the story is out, I’m sure that yet another dubious association of the president will be explained away by the lapdog media. But, before this story joins the rest in the memory rat-hole, just ask yourselves this question: What if George W. Bush had worked closely with Christian leaders to obtain a pre-vetted list of Evangelical Christians for the sole purpose of making political appointments? The charges of “theocracy” and “separation of Church and state” would make your ears hurt.